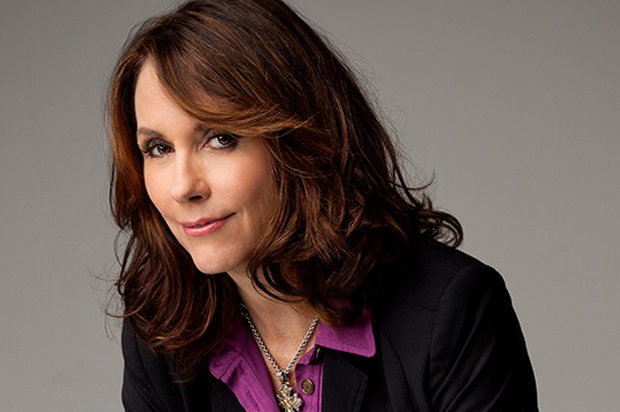 The Raymond Carver Reading Series in the College of Arts and Sciences continues with a reading by acclaimed memoirist and poet Mary Karr ’H15, the Jesse Truesdell Peck Professor of Literature at the University, where she delivered the 2015 Commencement Address in May. On Wednesday, Nov. 4, Karr will participate in an audience Q&A session at 3:45 p.m., followed by an author reading at 5:30 p.m. Both events are free and open to the public, and take place in Gifford Auditorium. For more information, contact Sarah Harwell G’05, associate director of the M.F.A. Program in Creative Writing, at scharwel@syr.edu. Karr is the the author of three best-selling memoirs, “Lit” (Harper, 2009), “Cherry” (Viking, 2000) and “The Liars’ Club” (Viking, 1995), and four critically acclaimed volumes of poetry, including “Sinners Welcome” (Harper, 2006). Her latest book is “The Art of Memoir” (Harper, 2015). Karr has served as the weekly poetry editor of The Washington Post’s “Book World,” and has released a CD, “Kin: Songs by Mary Karr and Rodney Crowell” (Vanguard, 2012). Karr has received numerous honors and awards for her work, including fellowships from the Guggenheim Foundation, the National Endowment for the Arts and a Bunting Fellowship from Radcliffe College. She has received a Pushcart Prize, the PEN/Martha Albrand Award and Whiting Writer’s Award. She is a sought-after speaker who has given talks and lectures at major universities, libraries and at the Weill Cornell Medical College, where she lectured during Grand Rounds in the psychiatric department in 2011. Her memoir “Lit” is scheduled to become an HBO television series.